Life is full of surprises. For many of us, it’s why we get up every day. It’s a new chance to turn the page and have the unexpected come popping out. A lovely sentiment— one that looks much better on a greeting card than at a remodeling job. When working on a remodeling project, surprises are the last thing you want. It’s all about proper planning and foreseeing issues ahead of time so that everything goes off without a hitch. Below, we’ll discuss some common surprises that will eventually rear their ugly heads at some point, as you take on more and more jobs. Structural flaws have a way of staying hidden until you peel away the surface, down to the bare bones. Experienced contractors know what clues to look for. Crooked door jams and windows, random cracks or settling floors are good indicators of structural issues. Sometimes it’s not just because it’s an old house that structural flaws exist. Savvy contractors also keep an eye out for evidence of previous renovations. Especially those that appear to have been done by (to put it kindly) “lesser skilled” hands. The last thing you want is to discover that a main support had been cut in order to make room for plumbing or heating lines during a previous renovation, for example. Once exposed, these issues must be fixed in order to satisfy building codes. Keep an eye out for outdated hazardous building materials such as asbestos and lead paint. These pose a health risk for not only the homeowner, but for those who will be working to remove it. If the renovation involves working around asbestos, consult with the homeowner about hiring a qualified asbestos abatement contractor before the job begins. Know the telltale signs of potential areas where termites could infest. Nothing is worse than beginning what should be a simple demolition and being bogged down by termite damage. This can derail the project and cost more time and money. Likewise, when estimating the project, try to be wary of potential for leaks. A slow leak within the wall can rot out the underlying structure, promote mold growth and require a lot of time and money to rebuild before the project can continue. In many older homes, everything is not as it always seems to be. Nothing illustrates this point better than electrical wiring. It’s not uncommon to see “homegrown” electrical work buried in the wall, which can have you scratching your head for hours trying to untangle the spider web of wire. For instance, a kitchen outlet might also be on the same circuit the powers the attic light, the garage door opener and the doorbell. In cases like this, electric wire testers are your friend. 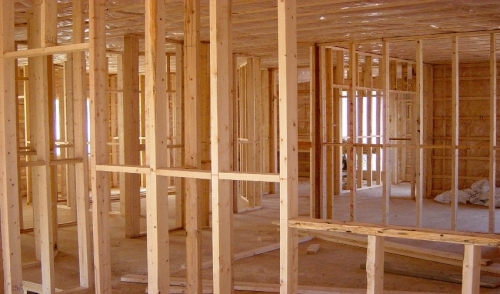 Watch out for the quirks of building codes. Every municipality can have a slightly different set of codes. In fact, they even change over time. If you get a permit in June for example, and the codes changed in July, then you may have to adjust your project to accommodate the new rules. Lastly, a surprise that seems to creep up on every job is the lack of time. Depending on whether any of the above issues present themselves, time can be in even more short supply. Plan accordingly and expect the unexpected. There is no way to predict the future and know what surprises are in store for you on your next job. Luckily, this is a situation where experience pays off and the more surprises you run into, the more you’ll be ready for next time.